Motty in her home in my study, about to eat her banana jelly. Watch this great video about setting up a home for a rainbow stag beetle. There is also a great care sheet for rainbow stag beetles here. The Spider Shop - They don't just sell spiders. I got my first beetles from them, they sell all the kit and are great to deal with. Beetles As Pets - A great blog with lots of details of how to take care of beetles as well as a supply of larvae and adult beetles. 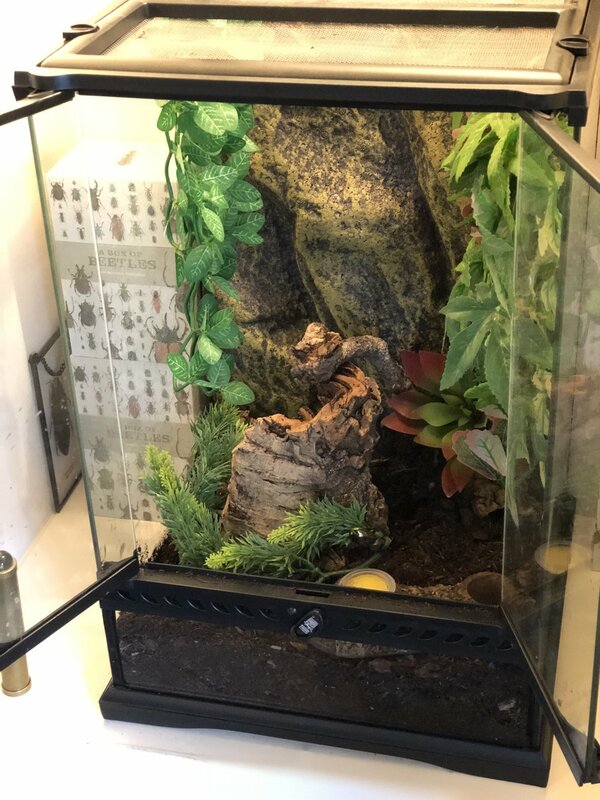 I get asked a lot about where you might get a beetle to keep as a pet. There are some important things to take into consideration if you are going to keep an invertebrate as a pet. The first is that you need to make sure you know how to take care of them and replicate their natural habitat. You can find out some useful information here and this is a blog dedicated to Keeping Beetles As Pets that also has a very helpful YouTube channel. The second is that you should buy them in pairs, a male and a female. These pairs will mate and you need to be prepared for the eggs and beetle babies - or larvae - that may ensue. The third is that adult beetles don't live that long, although if you learn about their life-cycle, you may find you can breed them. Large species live about 3 months. I have rainbow stag beetles because they live a bit longer, about 18 months. My first female, Motty, died three weeks before her second birthday, which is a ripe old age for a beetle. The fourth is that you can only usually purchase adult beetles in the UK from the end of April / early May or elsewhere, through-out the summer months. And finally, if you are taking care of exotic non-native species then you MUST ensure they are kept contained and separate from the outside world, even once they've died. Me and my pet rainbow stag beetle, Hector.